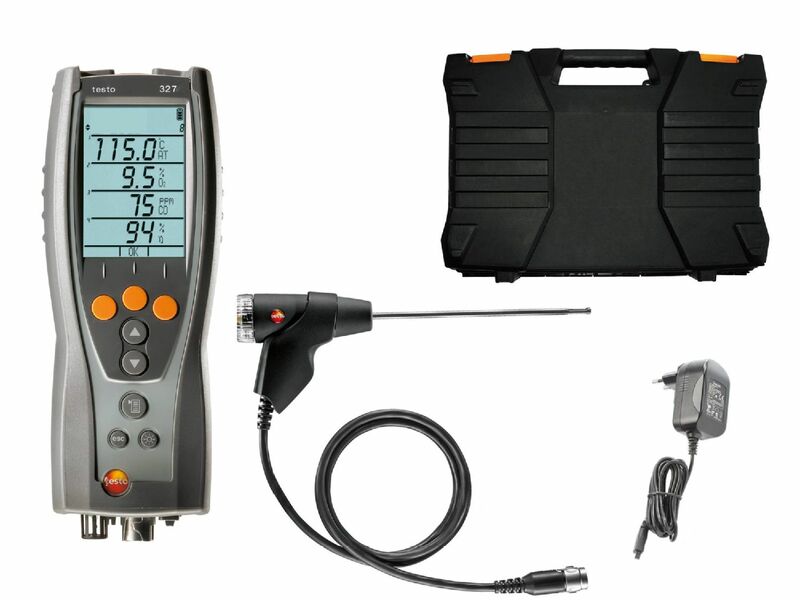 There are many factors which come into account when choosing a Flue Gas Analyser. Firstly, you need to ensure the analyser has the necessary features for you, and above all is appropriate for all the day to day tasks associated with being a heating engineer. 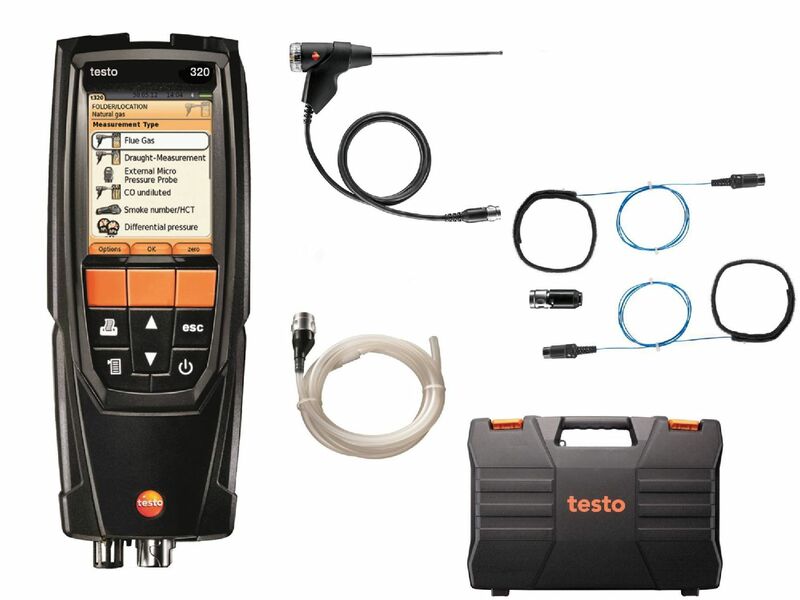 Testo are best known for our top-quality Flue Gas Analysers, both throughout the UK and all around the world. Our Gas Analyser range can provide the right flue gas measurement for any application. 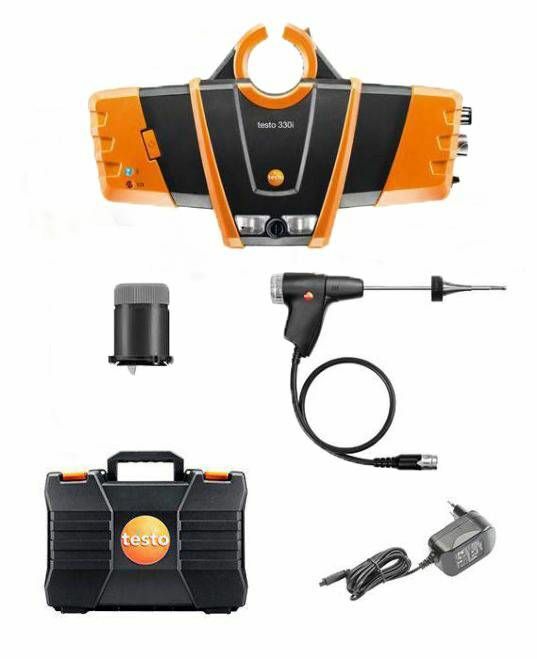 Whether you’re working on domestic boiler gas analysis, or your focus is more on commercial applications, you can be sure Testo will have the perfect Flue Gas Analyser for you. 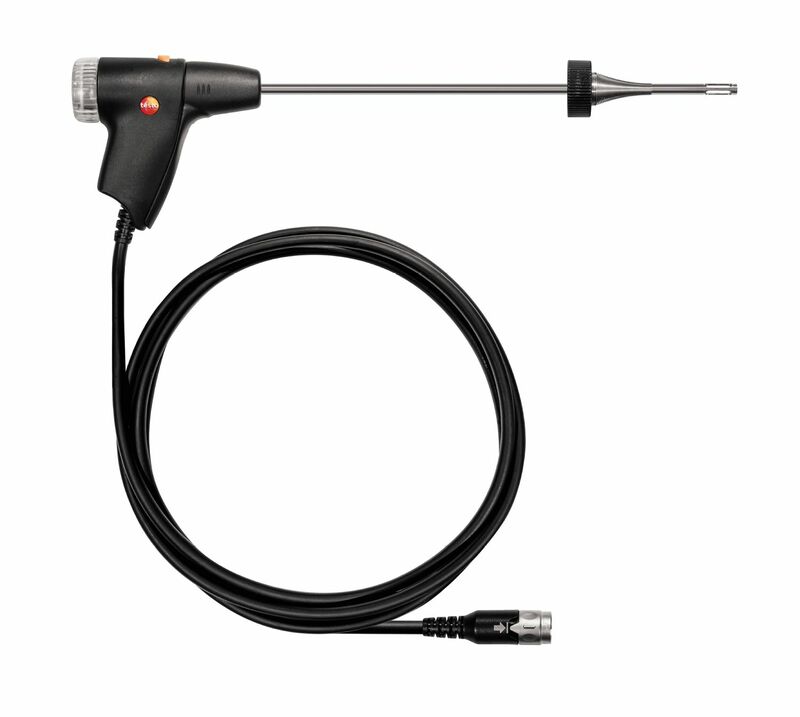 See our full range of Flue Gas Analysers below. 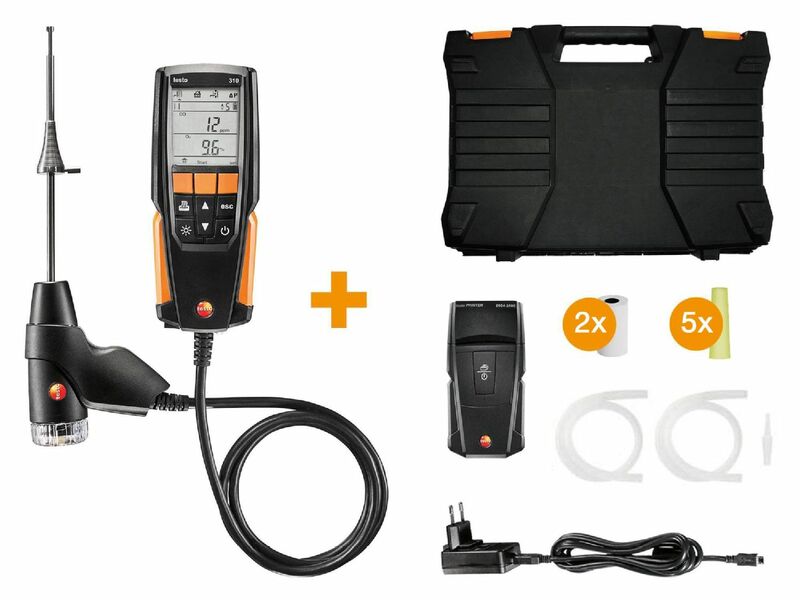 The ideal equipment for heating engineers: with this testo 320 flue gas analysis set, you can carry out your measuring tasks on heating systems quickly and efficiently. 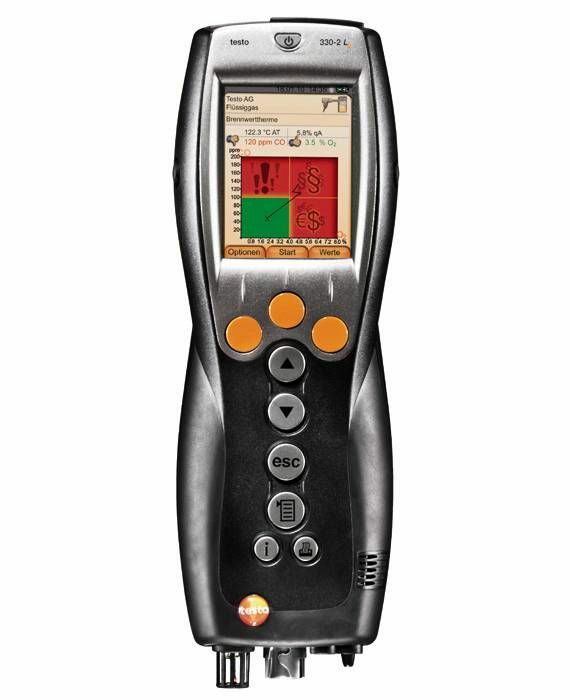 Use the flue gas analyser to measure flue gas, draught, pressure and differential temperature. 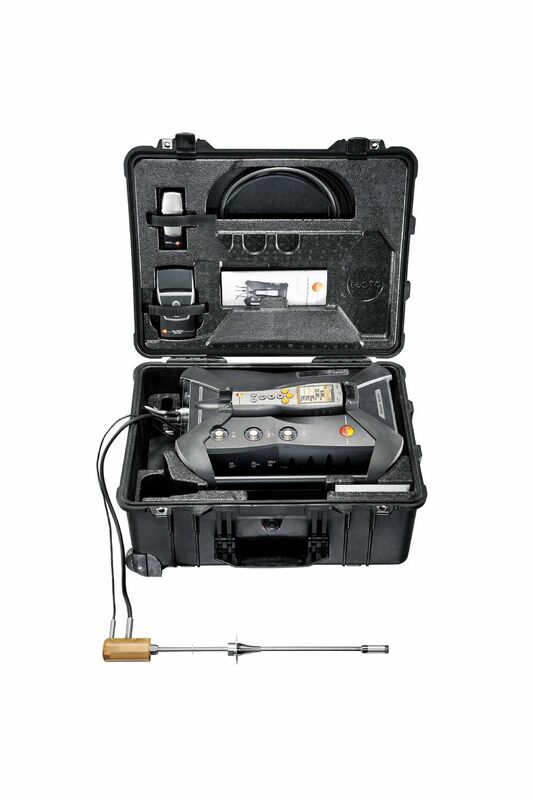 Can also measure ambient CO and detect gas leaks with an optional additional probe. 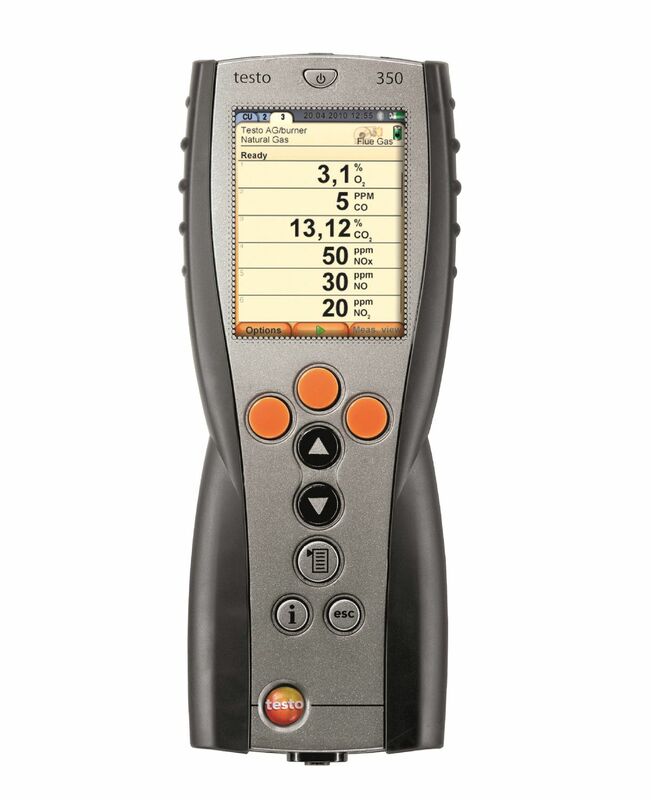 The testo 327-1 is your introductory instrument to flue gas analysis. 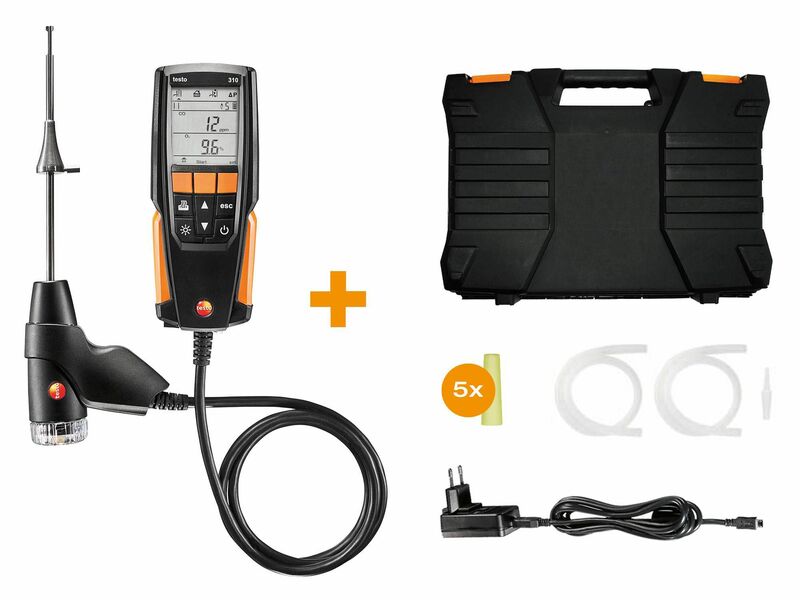 It measures combustion efficiency, °C, O2, CO2, CO and flue draught. The strong LED background light in the 4 line display guarantees an easy-to-read display even if lighting conditions are unfavourable. 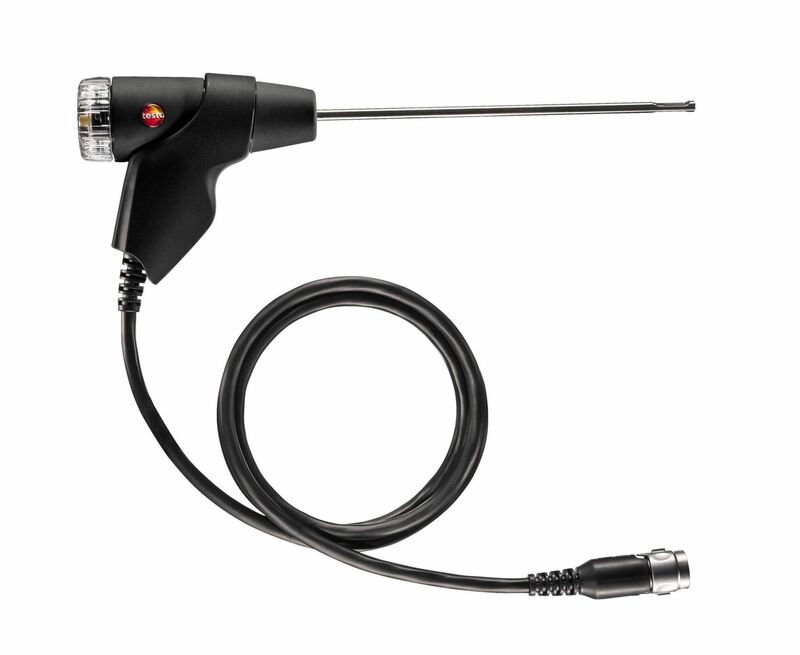 The analyser stands out on account of its easy menu navigation and ergonomic housing as well as its durability. 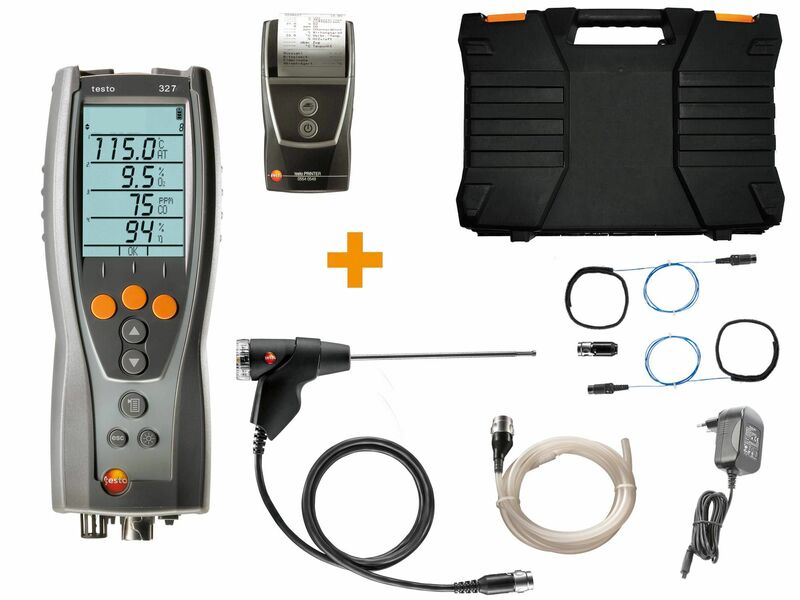 Advanced set includes a Differential hose kit, Differential temperature kit and testo infrared printer (0554 0547). 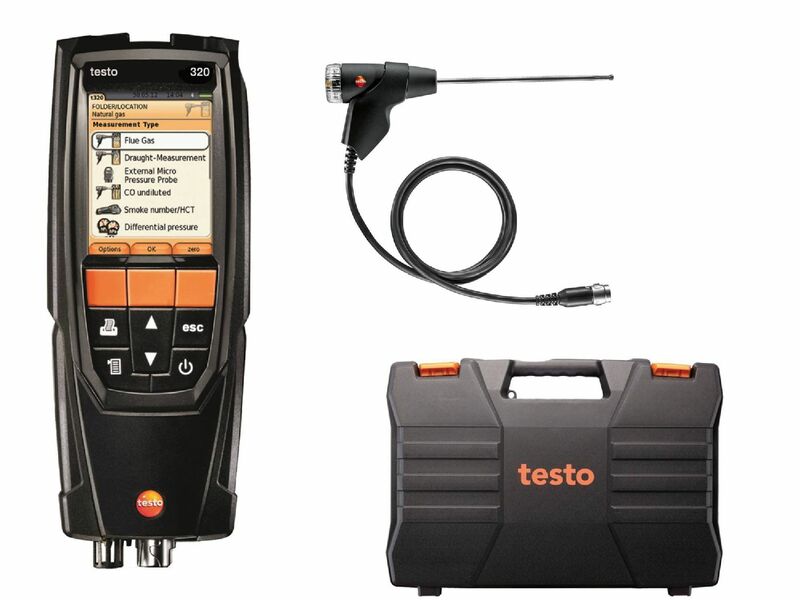 testo 330-2LL (O2 and COH2) flue gas set for service technicians and inspectors, with bluetooth (for connectivity for the testo combustion app), battery and calibration protocol, mains unit 100-240 V for mains operation or charging the battery in the instrument and combustion air temperature probe (length 190mm). 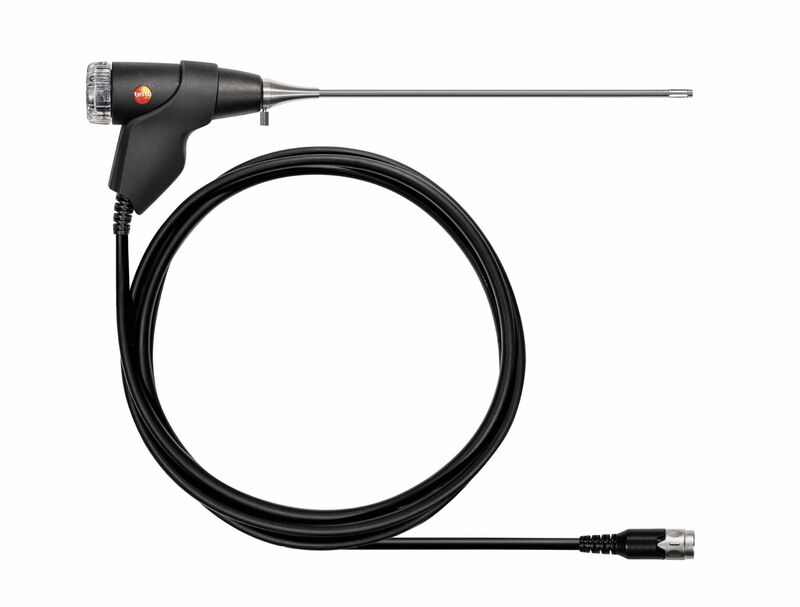 Also includes USB connection cable, flue gas probe (length 300mm diameter 8mm) and carry case. 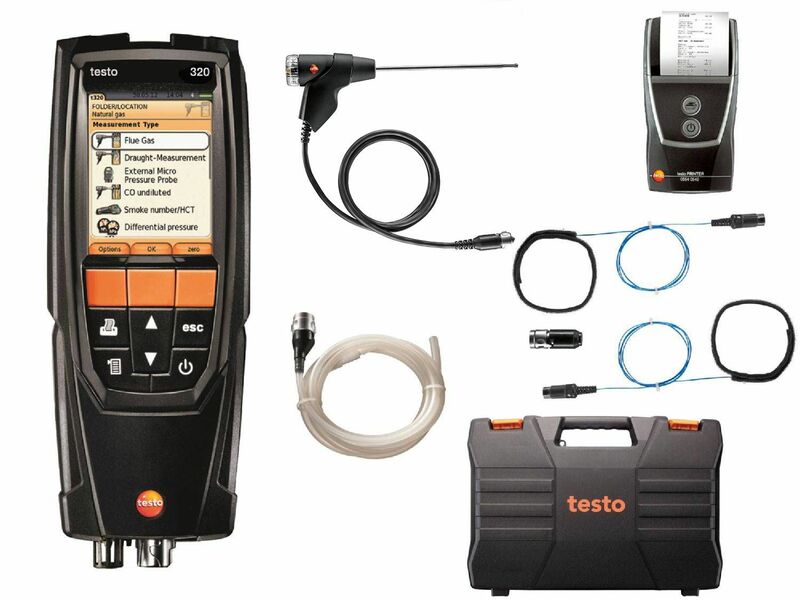 testo 330-2LL (O2 and COH2) flue gas set for service technicians and inspectors. 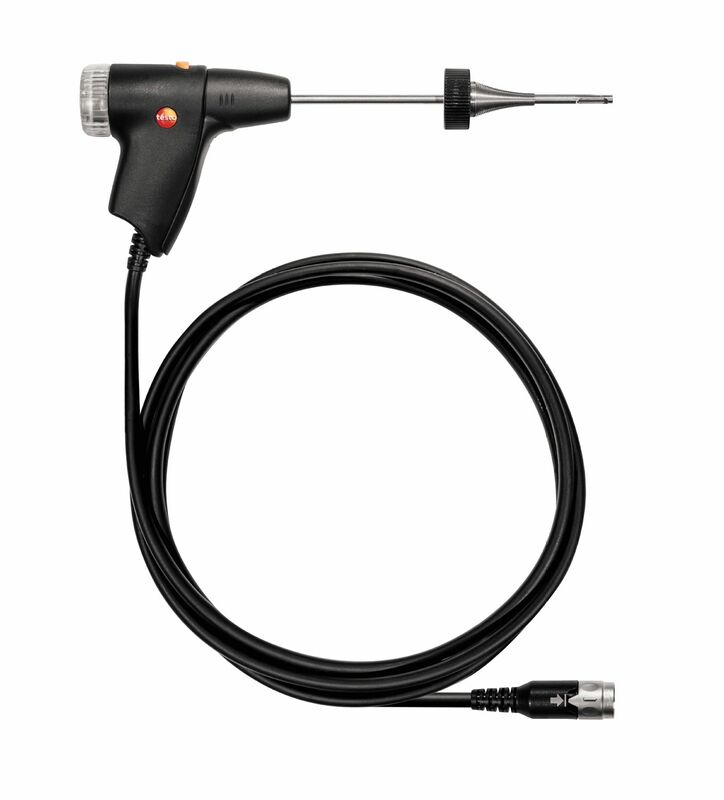 Includes infrared printer, battery and calibration protocol, mains unit 100-240 V for mains operation or charging the battery in the instrument, combustion air temperature probe (length 190mm), USB cable, flue gas probe (length 300mm diameter 8mm).